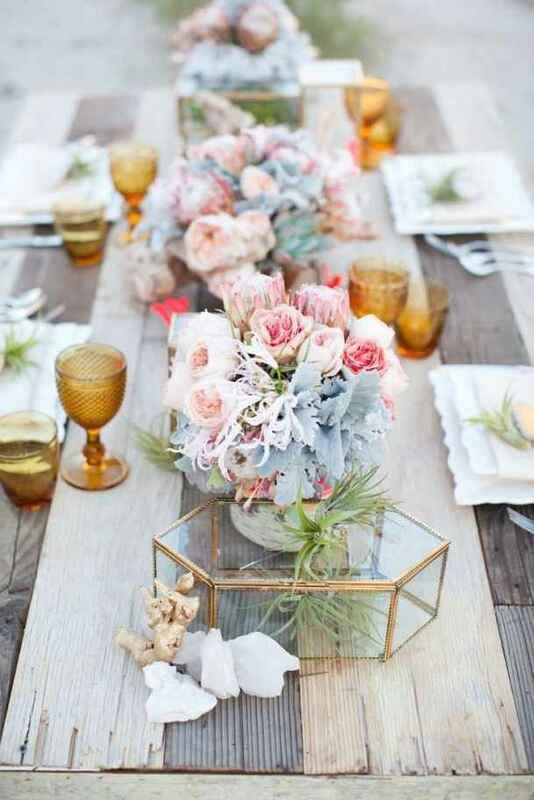 You might not necessarily think of florals when it comes to decorating a beach party or nautical themed gathering, but as you can see from the pictures below, flowers can be used to mimic the ocean’s natural elements like seaweed and starfish, or wind and sand. There are so many options and creative ways to accessorize table settings with votive candles, shells and colored netting. And if you’re having a summer wedding, an ocean theme might be perfect for you. Flowers are easily incorporated into seaside centerpieces and add a soft, romantic flair without distracting from the oceanic elements. 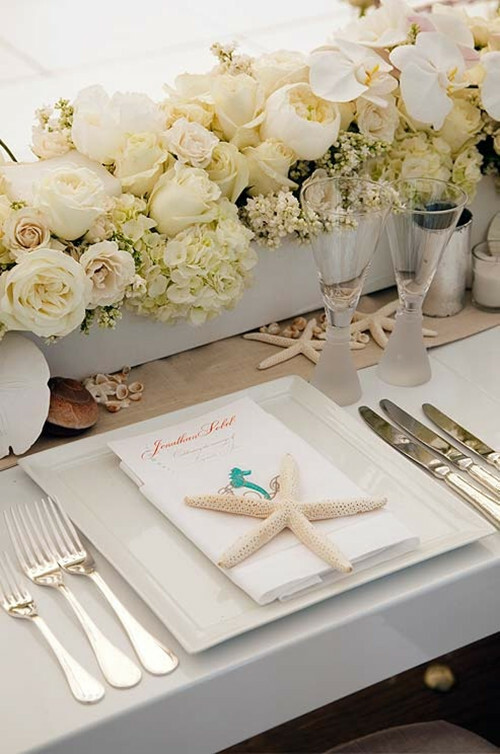 Try nautical accessories, table settings, rope napkin rings, coral & seaweed shaped flowers, and lilies that embody starfish. Bouquets and boutonnieres made with flowers and sea shells are eye-catching and unique. Seashell terrariums in mason jars make for a more compact display that’s easier to transport and clean up, especially if you are using sand and setting them on dining tables. These also make great wedding favors for guests and chic home accessories. Craftbug has a handful of creative DIYs for candles and garlands.